Steadily rising R&B artist Banks' profile is looking to go supernova this year, with the acclaimed singer set to deliver her debut full-length, Goddess, in the fall. Not all of the details have been shared just yet, but the Los Angeles-based songwriter will have her first album out September 9 via Harvest Records. A tracklisting has not yet been delivered platter, but it will contain a title track, which was premiered on BBC Radio 1 earlier today (April 28). You can stream the cut, produced by London producer and SBTRKT collaborator Lil Silva, in the SoundCloud player down below. 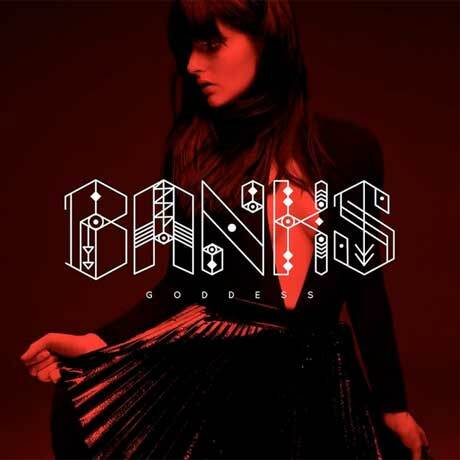 While not much else is known about the album, Goddess follows Banks' 2013 London EP, as well as her Shlohmo-produced "Brain" single. As previously reported, Banks is gearing up for a headlining tour, which has her hitting up Canada a couple times. The spring trip has her landing in both Vancouver and Toronto, and you can find out the date and venue specifics over here. UPDATE: You can now see the tracklist below.